The latest MotoGP release from developer Milestone sticks to the series' signature racing action but misses the mark with visuals and presentation. 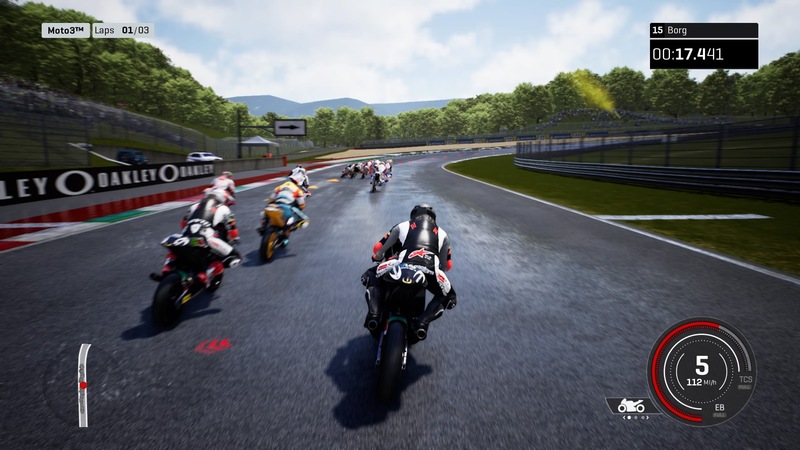 The MotoGP video game franchise has a somewhat lengthy history, with series entries dating all the way back to the release of MotoGP 07 on the PlayStation 2. In all that time, and with consideration to all six of developer Milestone S.r.l. 's distinct MotoGP releases, every single series entry has been met with average or mixed reviews. And, as far as can be told, it seems like that trend is only going to continue, as the studio's latest annual MotoGP release continues the series' peerless motorcycling racing action but manages to do essentially nothing to help it stand out from the crowd otherwise. Those who aren't familiar with the MotoGP games should know that they're designed to be simulation-style racers. This isn't a game about burnouts, or explosions, or gnarly backflips — it's a game that aims for motorcycle racing realism, with players being tasked with rising through the ranks all the way from the Red Bull Rookies Cup straight into the Moto Grand Prix proper. And on that front, all appears to be well: there's a number of different racers, teams, bikes, and tracks, all based on their real-world counterparts. In fact, the developers went so far as to use drones and 3D scanning technology in order to accurately reproduce both riders and tracks, with the goal of making the game feel as true-to-life as possible. Also, for the first time in the series' history, the latest installment of MotoGP is running on the Unreal engine. This means a complete overhaul to the game's modeling and physics, which was again all done in the name of realism. Sadly, the end result is still not much to look at. While rider and bike models look crisp, the rest of the game's visuals are markedly dull. Tracks appear barren, non-rider models look wooden and lifeless, and cheering fans around the track look like sprite animations pulled from the PlayStation 2 era. This lack of polish is particularly obvious during pre- and post-race cutscenes, which repeat themselves often with only slight changes to the faces and skin tones of the characters within them. Even some of the game's menus and the text within them are blurry, which is odd considering that the bike-and-rider menu backdrops are pleasingly crisp. Still, given that MotoGP 18 is a simulation racer, minor issues with graphics and presentation could be overlooked. The real meat here is the racing, and on that front, Milestone has done a commendable job of reproducing motorcycle racing action and physics as accurately as possible. Players who only want to get into races and start rising through the ranks can make use of a number of different rider aids that make races far less challenging and/or stick with the automatic motorcycle setups, but those who really want a realistic experience can expect to adjust everything from rake angle and suspension preload to brake aggression, aerodynamics, fork compression, and more. Racers should be prepared for inclement weather. More importantly, this level of detail extends to the gameplay itself. Without rider aids turned on, MotoGP 18 gets as close as humanly possible to the level of multitasking and active management needed to push 200+ bhp monsters down a track. Players will have to manually change gears, manage front brakes, rear brakes, clutch, throttle, and even consider their riding stance — and that's to say nothing of learning the bikes or the tracks themselves. It can all be a bit overwhelming, which feels odd to say, because the action itself, with or without rider aids on, isn't particularly exciting. Moto Grand Prix enthusiasts will certainly appreciate the attention to detail, but with such a steep learning curve, and with such flat-feeling action otherwise, it's hard to imagine that everyday gamers will come away feeling very satisfied. Luckily, there are a number of extra goodies that players can look forward to. 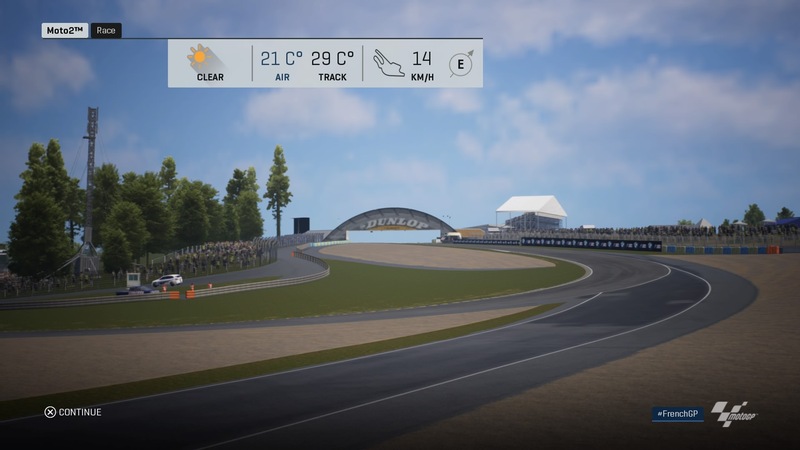 Not only can racers compete in the game's extensive career mode, players can also jump into the action immediately thanks to quick play options like Grand Prix, Time Attack, Championship, and even public and private multiplayer game modes. 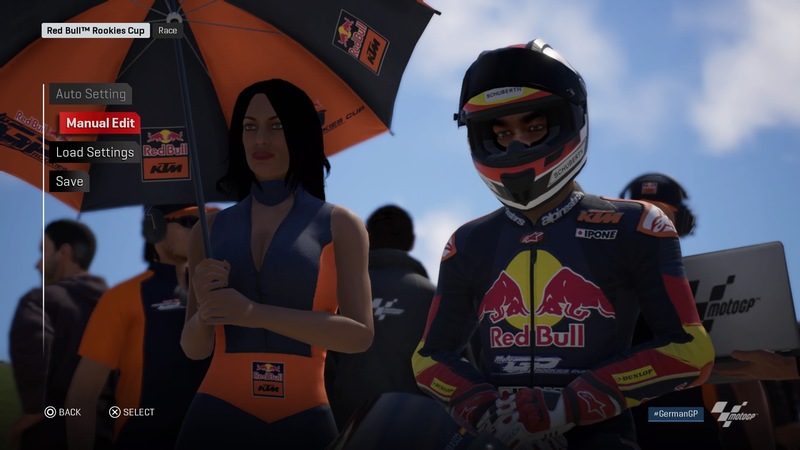 These offerings may not feel as robust as the career mode, however, as they feature fewer options for rider and bike customizations; beyond that, dropping into multiplayer lobbies often entails a lengthy wait while the current players finish their in-progress races. Motorcycle upgrades can be purchased using development points. 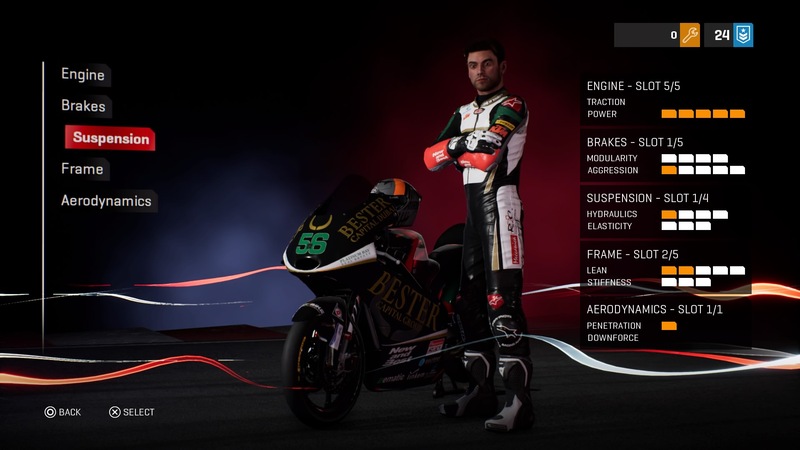 All of this is rounded off with a bit of flair in the forms of different full-motion videos showcasing each track location, a (fictional) social feed with filled with various (nonfictional) facts and rankings for in-game races, e-mail updates and tips from the game's personal manager, and a chance to customize their own riders with helmets, gloves, boots, and even a special nickname that can be proudly posted on the rider's posterior. This review is based on a PlayStation 4 download code provided by the publisher. MotoGP 18 is available now in digital storefronts for $49.99. The game has been rated E for Everyone by the ESRB. Darn. Haven't played the new one yet but this falls pretty much in line with what I expected. I'll wait for a Steam sale.